Kyoto is one of those destinations that gets under your skin. 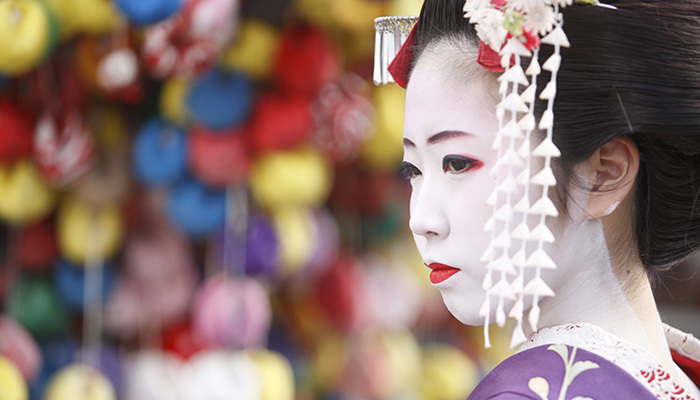 As the former capital of Japan for more than 1,000 years, it is known as one of the most traditional cities - a place where you can still see geisha entertaining groups of businessmen, if you know where to go. Here is our guide to every aspect of Kyoto you can imagine. If you're visiting it as a cruise destination as a day trip from the port city of Kobe, you'll be spoilt for choice for things to do. As already mentioned, Kyoto was the capital of Japan for more than 1,000 years before Tokyo came along. Its residents rightly have a lot of pride, with many maintaining that it's still the capital even now. In a way, they're right. Trace the families of the ultra-powerful (and especially the Emperor and the Imperial Family) and you'll find they all lead to Kyoto. There's plenty of history to discover here, and lots of venues to do it from. The Museum of Kyoto, the National Museum, the Miho Museum and the National Museum of Modern Art are the places where you'll best get your fix if you're a culture vulture. Kyoto is surrounded by a number of impressive mountains. Rising up like the vertebrae of some ancient creature, they are an impressive sight indeed. You will need to travel a little way from the centre to experience the natural beauty they offer, but it's well worth it. But even from a distance, these incredible natural structures serve as a reminder that Mother Nature is very close. Places to experience it include the Golden Pavilion and the second half of the Pilgrim's Walk. Kyoto is one of those places where you can experience Japan as it once was. The city's main arteries are modern enough - wide roads with expensive shops and restaurants on either side. But stray away and you'll quickly find yourself in an absolute maze of narrow old-fashioned roads. Here, the pedestrian is king and you'll find all kinds of traditional sushi bars and izakayas. The Gion district is particularly beautiful, with plenty of old homes made out of red-painted wood. You'll find many members bars here - if you're lucky enough to know the right people, you're in for a very Japanese experience. Many of these play host to geishas and their clients. Keep an eye out for them. With Kyoto being as traditional it is in many aspects, you might expect its cuisine to be as traditional as everything else. But there's a vast variety on offer here, so don't count your chickens before they've hatched. 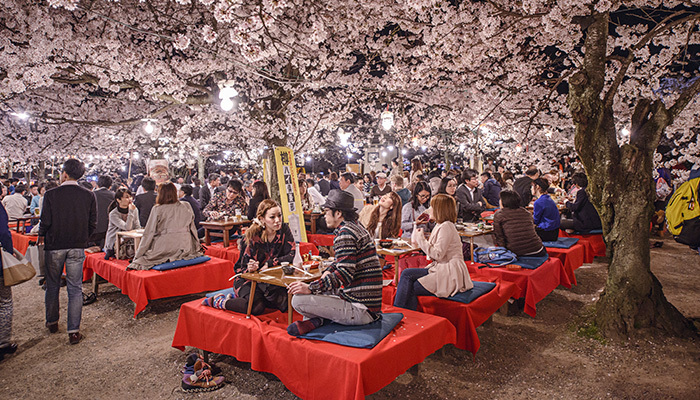 Kansai favourites okonomiyaki (savoury pancake) and takoyaki (octopus balls) are in high demand, and you'll find plenty of little restaurants specialising in sushi and sashimi. It's also worth trying Japanese or Korean barbecue while you're here. This involves cooking meat carefully on a personal heater before wrapping it in lettuce or dunking it in sauce. It's delicious and perfectly suitable for those who aren't fishy fans. One of the most alluring factors about Kyoto is its plethora of temples and shrines. These are absolutely fascinating to visit - no two are the same and, although you'll certainly find quite a few that are commercial and commonly visited by tourists, a walk along the streets may unearth many an undiscovered gem. A quick look inside is guaranteed to yield interesting results. While the Golden Pavilion is an immensely popular destination, it might be wise to substitute it for other places if you're interested in experiencing a wider variety of temples and shrines, since it is tricky to get to and has little touristic value despite its name. More interesting is the Sanjusagen-do, which is in possession of 1,000 standing statues of guardian deities from the Hindu religion. It is an amazing sight. Also worth checking out is the Inari Shrine, a short train ride from the centre. Its stunning red paintwork and population of fox statues is something to behold, and the view from the top (which takes two hours to reach) is awe-inspiring. On the other side of this is the Cool Japan image that brings so many young people to Japan. The lure of Hello Kitty, Sailor Moon and Studio Ghibli exists in Kyoto as well, not just the more modern cities. A manga museum provides much opportunity to learn about the art form - its origins and even how to draw it. Mile-high shopping malls allow for an incredible retail experience while cat cafés transform the typical experience into a more feel-good feline affair. Everything you've ever heard about Japan's trendiness and individuality can be found here. Be sure you don't miss out on exploring this aspect of Kyoto. Quite frankly, Kyoto is one of the most incredible destinations you can possibly visit in Japan. The combination of the old and the new is incredible, with so many of the ancient buildings well-preserved. But you'll also find plenty of shades of the Cool Japan perpetuated by the tourism agency as well, with opportunities for shopping and to experience the manga phenomenon.